Happy Blogoversary to Southern Matriarch. She is THREE years old!!! Who would have thought it? I certainly would not have. It has been a wonderful ride. In three years time, I have posted 236 garments, and ~100 non sewn items. Wow! I was blown away when I got to adding it up. 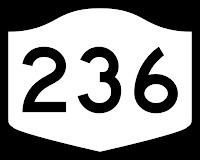 Now the number is pretty accurate I am sure, but if you want to go through and recount for me, feel free. The next time I am feeling like I haven't accomplished much, I am going to refer back to this post. Granted some of those items have been small, quick or down and dirty. Still, 236. Blows my mind. And one of the things that makes it so fun, is the blogging friends you make. I have met a few in person and many through emails, Facebook and Flickr. Thank you each and every one of you for your following, commenting as well as telling others about this tiny place in the cybersphere. Happy, Happy Blogoversary to me! You are an early bird! 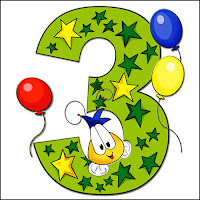 Contratulations on 3 years of sharing your beautiful ideas with us. Thank you! Congratulations Martha! I so enjoy your blog and have just figured out how to post properly on blogs. :) I look forward to your next 200+ posts. A very happy day to you!! 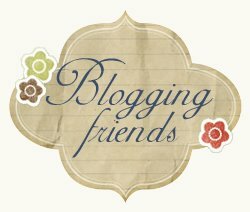 Happy Blogoversary to you! Thank you for brightening our days, inspiring creativity, and helping us perfect our sewing skills. Hope you really do enjoy a piece of cake, or something else delicious, today! Happy Blogoversary! Thank you for sharing all your wonderful tutorials, creations and finds with us! Congratulations! I have tried many things, Thanks for all your inspirations and tutorials! things after reading your blog. I have even gotten back into crocheting and am ready to put my afghan together. I'll post about it soon. Congrats on such a wonderful blog. You are my stop when I need some inspiration! Thank you for sharing all your work and your family with us! Happy Anniversary. I'm sure I have looked at and studied most of those 236 items. You do beautiful work, and I'm looking forward to seeing more and more of them. 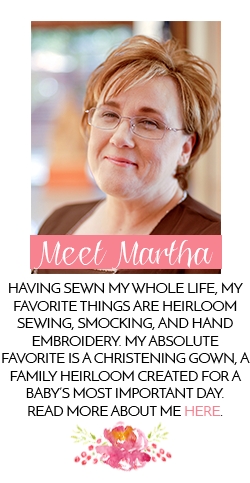 Happy Blogoversary dear Martha! You are wonderful! I love all your lovely posts! Congratulations to you, Martha, for giving us so much of your time and talents. I read you faithfully and have benefitted many times from your wonderful tutorials and eye candy. I missed the day... sorry!! Congrats! !